This year at my 10-year college reunion one of my old classmates joked about how I was natural before it was cool. This made me chuckle because of how true it was. I got a perm 1 1/2 times over the course of a year when I was 13, the 1/2 is the time I only permed the edges. Yes, I did that, no I don't recommend it. But I was a teenager and not completely in love with my hair yet. I mostly kept my hair in a ponytail or pressed out once I was back fully natural. When I got to college my hair was pressed out. I enjoyed that press for 2 weeks! When you get a good press, you hang onto it. But much like Cinderella's carriage I knew my true hair would soon reveal itself. I could get away with curly ponytails (or pineapples) during the week. For the weekend I would press it out. I knew that wasn't the best for my hair but I didn't have many options that I felt were adequate or that I was completely comfortable with (remember natural hair was still not cool). Until I found a classmate who could roller set my hair for me *cue church bells*, this was clearly a Godsend. She did my hair almost every Friday in college for 2 years...free! I never wore my actual untouched hair out until junior or senior year. This was the year I had several friends cutting off their hair to start their natural journey, and thus I felt more empowered in mine. As time has progressed I have become more secure in myself and my natural hair, but that wasn't always the case. I always felt my hair was special, people would always compliment me on it. Beauticians warned me not to ever perm my hair. As noted above I wouldn't understand this until later. But more importantly, my mother was the keeper of my hair. I didn't touch my hair until I was in 8th grade. She dictated styles and everything. I literally wore my hair in 3 braids until I was seventh. And to be honest, under her, my hair flourished. But this also made me feel unconnected to my hair. My earliest memory of hair issues and hair care came around first grade. They coincided with first grade picture day and my first trip to the beauty shop. 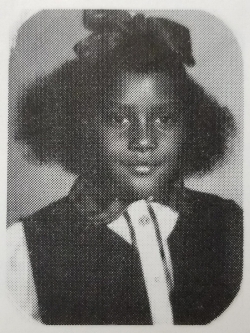 My first-grade picture is my earliest memory of being embarrassed by my natural hair. It was big, and awkward. And I was not surrounded by many people who were "embracing" their natural hair, so I was stuck in a vortex of "do as I say and not as I do" when it came to hair acceptance. I'm not completely sure about the happenings of the morning of picture day, but I remember 2 things about that day. I was short a regulation school shirt. I was sent the principal's office to actual shirt approved. And my hair was down and puffy, and I hated it. Looking back I can find the humor in it, but as a first grader, I was mortified that I could be taking a picture with my hair looking like this. My mom combed all my curls out and put a huge bow in my middle of my head. I felt like a Christmas tree in the middle of September (also my shirt was Christmas themed). Much like my first-grade picture, my first time at the beauty shop was a mixed bag. I was so excited to finally be getting my hair down at a real beauty shop. My mom gave very specific instructions before she went off to run some errands. She wanted to leave nothing to chance. They washed my hair, blow-dried it, pressed it out, and clipped my ends per her request. As she walked back in and saw my hair, she flipped a gasket at the length of hair that had been trimmed. Mad is an understatement. I hadn't seen the final product, but based on her reaction I thought I had little to no hair left. She stood there seething. In my mind, what is very normal hair maintenance turned into awkward interactions with beauticians about how much hair they should be trimming. I feared that asking anyone trim your edges meant asking for a haircut. Yet, as I've grown I've seen the benefits of proper and consistent hair trimming on a normal basis. It's been a long road to get to where I am in hair acceptance. There was a time I wouldn't dare wear my curly fro out at work, but now I can't imagine pulling it back into my neat corporate bun. I've learned to work with my hair and treat it less like an enemy. I find products that work and cling to them. I don't like trying new products. I'm very much a product snob. 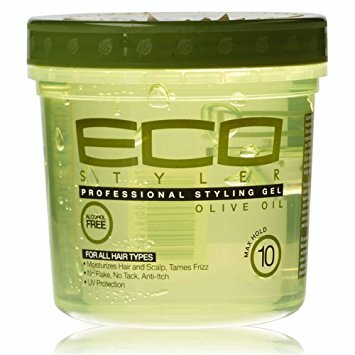 When I find a product I like, that works well with my hair, I am reluctant to try anything else. Unless it comes highly recommended. But now that I have another head to work with, with a different curl pattern than me. So I'm open to experimenting more. 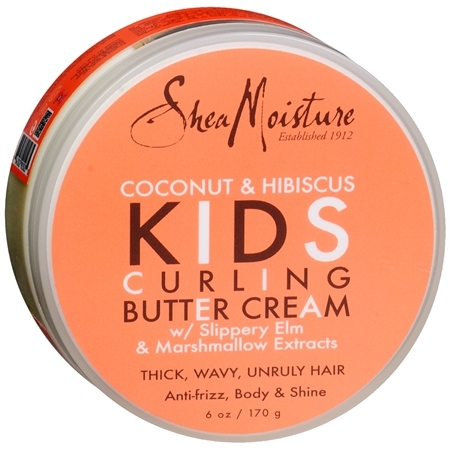 Below are some the products I like to use on my hair and my daughter's hair. I also recently received a sample of Original Blends gel, and I like it. It's alcohol free and vegan. It's a soft hold gel, very light and not sticky. 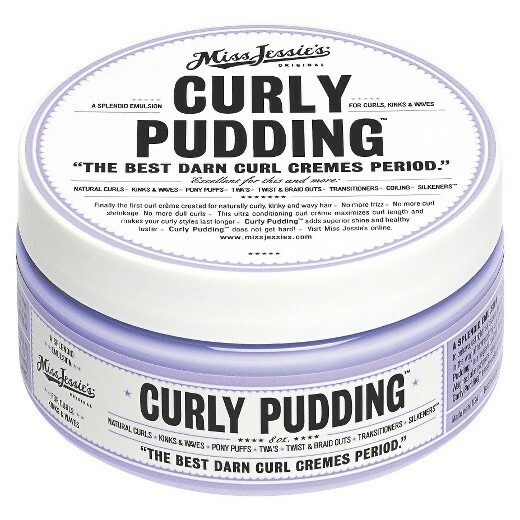 I used it on my daughter's twists, it worked very nicely. 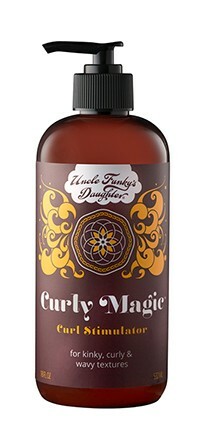 It has flaxseed extract which have some great hair benefits. If you're in the market for a new or better gel, try it out!